Suitable for All fabrics and suede. Hairs, dust etc… are removed from clothes. 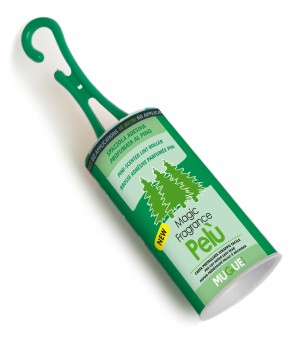 Releases pleasantly pine-scent onto the treated fabric. Scents small spaces or clothes in the wardrobe. This roller is produced with Italian perfumed adhesive paper of the best quality.